The first of 43 Class 331 EMUs being built by CAF for Arriva Trains Northern was unveiled to the media and stakeholders at CAF’s Zaragoza factory, Spain on January 31. 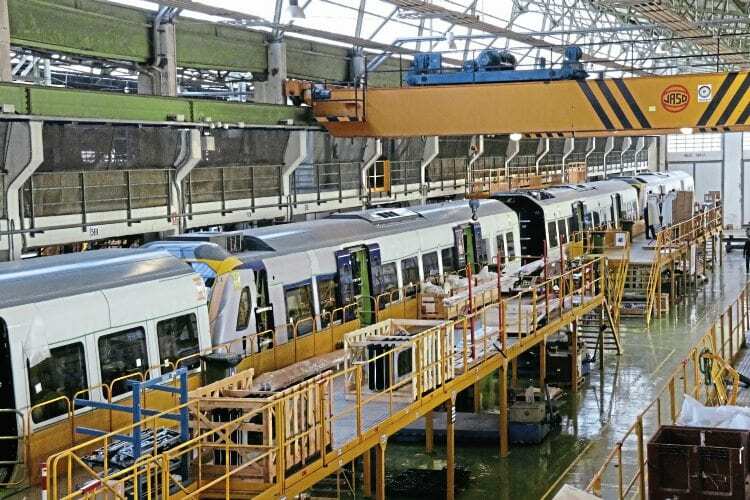 Body shells for both the EMUs and the Class 195 DMU fleet on order for Northern are made in Zaragoza, with the production line turning out alternate Class 331 and Class 195 vehicles. Final assembly for the DMUs is undertaken in another CAF factory in Irun, with the bodyshells moved there by road. CAF has previously built the Class 333 trains for West Yorkshire at Zaragoza as well as DMUs for Northern Ireland.